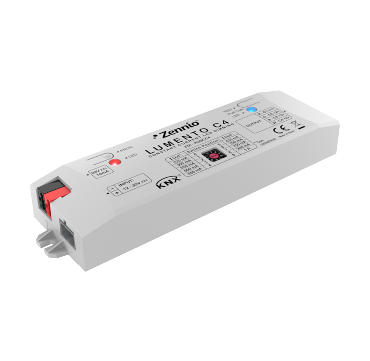 LED dimmer with 4 channels (RGBW or single channels) oriented to LED technology with constant current regulation. The dimming channels can be configured as 4 independent channels, 1 RGBW channel or 1 RGB channel + 1 individual channel. It has a manual test button to check the channels functioning. Maximum current selection with parameter and manual selector: 220, 300, 350, 500, 550, 630, 700 or 750, 900 and 1000 mA.